Our Company is certified to the ISO 9001:2015 standard within the scopes of development, production, consulting and sale of measurement technology, control engineering and aids for the blind. 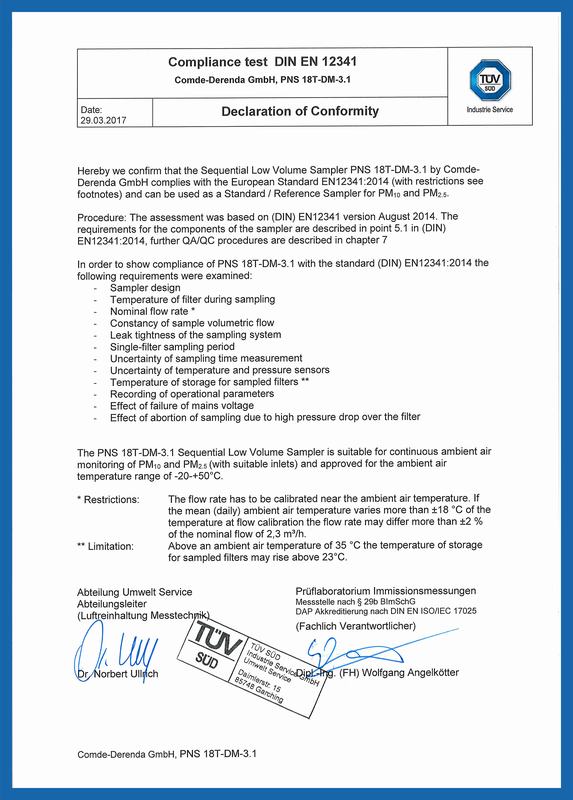 German certification provider TÜV SÜD in 2017 tested the Comde-Derenda Sequential Low Volume Sampler PNS 18T-DM-3.1 regarding its compliance with EN 12341:2014. 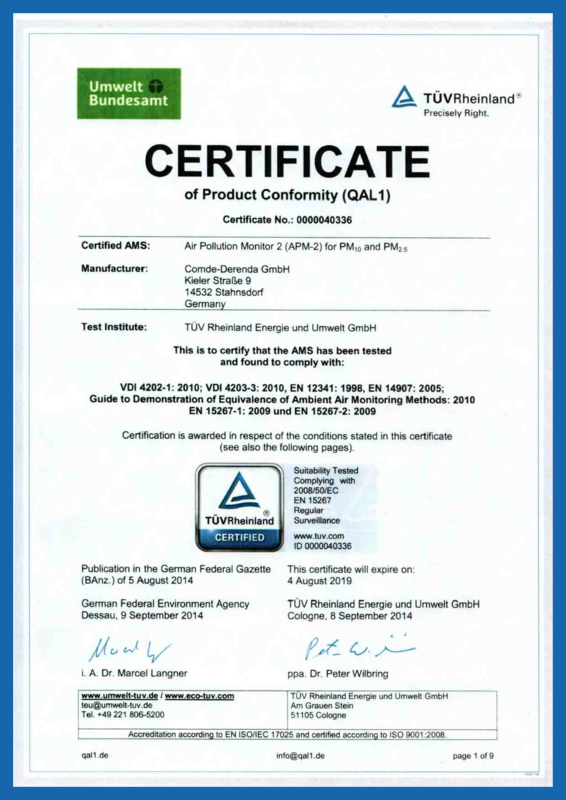 As a result, TÜV SÜD confirmed that the device complies with the above-mentioned Standard and can be used as a Standard / Reference Sampler for PM10 and PM2.5. Please klick HERE to view the complete test report (only the German version is available at the moment). The certified Comde-Derenda APM-2 is suitable for the continuous monitoring of the PM₁₀ and PM₂.₅ fractions in suspended particulate matter in ambient air (stationary operation). The suitability of the AMS (automated measuring system) for this application was assessed on the basis of a laboratory test and a field test at four different sites and periods of time. 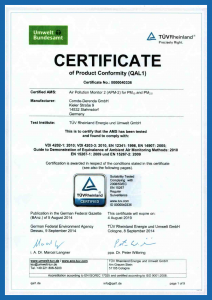 Our environmental monitoring devices LVS, APM-2 und PNS 18T-DM were successfully tested by TÜV SÜD Industrie Service GmbH regarding their sound emissions according to EN ISO 3744:2010. 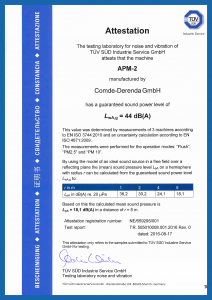 The test results showed that all tested devices emit low levels of noise during operation. 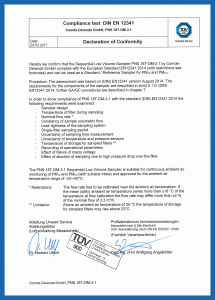 See the datasheets of the individual devices for the exact test results.